The incidence of cervical cancer in the United States has decreased more than 50% in the past 30 years because of widespread screening with cervical cytology. In 1975, the rate was 14.8 per 100,000 women. By 2008, it had been reduced to 6.6 per 100,000 women. Mortality from the disease has undergone a similar decrease from 5.55 per 100,000 women in 1975 to 2.38 per 100,000 women in 2008 (1). The American Cancer Society (ACS) estimates that there will be 12,170 new cases of cervical cancer in the United States in 2012, with 4,220 deaths from the disease (2). Cervical cancer is much more common worldwide, particularly in countries without screening programs, with an estimated 530,000 new cases of the disease and 275,000 resultant deaths each year (3, 4). When cervical cancer screening programs have been introduced into communities, marked reductions in cervical cancer incidence have followed (5, 6). New technologies for cervical cancer screening continue to evolve as do recommendations for managing the results. In addition, there are different risk-benefit considerations for women at different ages, as reflected in age-specific screening recommendations. The ACS, the American Society for Colposcopy and Cervical Pathology (ASCCP), and the American Society for Clinical Pathology (ASCP) have recently updated their joint guidelines for cervical cancer screening (7), and an update to the U.S. Preventive Services Task Force recommendations also has been issued (8). The purpose of this document is to provide a review of the best available evidence regarding screening for cervical cancer. A positive co-test result was more sensitive than either a positive HPV-only test or a positive Pap-only test. Cervical cancer screening with a test for human papillomavirus (HPV) resulted in a 50% higher rate of false-negative results versus Pap testing and three times greater versus co-testing, a large retrospective study showed. Data encompassing more than 250,000 women showed a false-negative rate of 18.6% compared with 12.2% for Pap testing. With a false-negative rate of 5.5%, screening women with the HPV test and Pap test missed the fewest cancers. The results support clinical guidelines that recommend co-testing, according to authors of a report in Cancer Cytopathology. The results differ dramatically, however, from those of previous studies that have consistently shown greater diagnostic accuracy for the HPV test compared with the Pap test. “The reason that women are screened is that they want to be protected from cervical cancer,” study author R. Marshall Austin, MD, PhD, of Magee-Women’s Hospital and the University of Pittsburgh, told MedPage Today. “The previous trials have generally focused on cervical intraepithelial neoplasia 2 or 3, so-called precancer. The difference is that most of what we call precancer will actually never develop into cancer. A year ago, the FDA approved Roche’s cobas assay for HPV DNA as a first-line test for cervical cancer screening, following a unanimous vote for approval by an FDA advisory committee. The approval was based primarily on a pivotal trial involving 47,200 women at high risk for cervical cancer. The primary endpoint was the proportion of patients who developed grade ≥3 cervical intraepithelial neoplasia (≥CIN3). The results showed a greater than 50% reduction in the incidence of ≥CIN3 with the DNA test versus Pap testing. Austin and colleagues retrospectively analyzed clinical records for 256,648 average-risk women, ages 30 to 65, all of whom underwent co-testing as a screen for cervical cancer and subsequently had a cervical biopsy within a year of co-testing. The primary objective was to determine the sensitivity of the three screening methods for detection of biopsy-proven ≥CIN3 and invasive cancer. The results showed that 74.7% of the women had a positive HPV test, 73.8% had an abnormal Pap test (atypical squamous cells of undetermined significance or worse), 89.2% had a positive co-test, and 1.6% had ≥CIN3. Biopsy results showed that co-testing had the highest sensitivity for ≥CIN3 (98.8% versus 94% for HPV test only and 91.3% for Pap testing alone, P<0.0001). The Pap test had greater specificity versus HPV testing alone or co-testing (26.3% versus 25.6% versus 10.9%, P<0.0001). Investigators identified 526 patients who developed biopsy-proven invasive cervical cancer. Of those patients, 98 tested negative by HPV assay only, 64 by Pap test only, and 29 by co-testing. Given the average risk of the patient population included in the study, the results are broadly applicable to women in the age range studied, regardless of baseline risk for cervical cancer, Austin said. The results are clearly at odds with previously reported comparative data showing superiority for the HPV assay versus Pap testing as a standalone screening test, but the reasons for the inconsistency aren’t clear, said Debbie Saslow, PhD, of the American Cancer Society (ACS) in Atlanta. The data also show that co-testing is better than either test alone, which supports current ACS recommendations for cervical cancer screening. Earlier this year, several organizations released joint “interim guidance” regarding cervical cancer screening. Described as an aid to clinical decision-making until existing guidelines are updated, the interim guidance characterized the HPV-DNA test as an acceptable alternative to Pap testing as a primary screening test. In their article, Austin and colleagues argued that the HPV assay should be evaluated in comparison with the Pap test but as an alternative to co-testing. “HPV-only primary screening for cervical cancer presents many challenges for clinicians,” the authors said. “Questions arise regarding its effectiveness, its long-term risk, and when it is the best option for a particular patient. The study had some limitations. The authors could not confirm that the cervical biopsy results were from women who did not have an intervening screening test or treatment with a different provider during the study period. Also, the authors were unable to draw conclusions based on the overall population of women who were screened for cervical cancer because the dataset consisted of screening results of women who underwent biopsies. NEW YORK (GenomeWeb News) – The presence or absence of human papillomavirus DNA on its own in an individual’s head or neck cancer does not provide enough information to help predict a patient’s survival, according to a pair of new papers in the journal Cancer Research. Two research teams — headed by investigators at Brown University and Heidelberg University, respectively — looked at the reliability of using PCR-based HPV testing to determine which head and neck squamous cell carcinomas were HPV-related and, thus, more apt to respond to treatment. Previous studies have shown that individuals with HPV-associated head and neck cancers tend to have more favorable outcomes than individuals whose head and neck cancers that are not related to HPV infection. “Everybody who has studied it has shown that people with virally associated disease do better,” Brown University pathology researcher Karl Kelsey, a senior author on one of the new studies, explained in a statement. For their part, Kelsey and his co-authors from the US and Germany assessed the utility of testing for the presence of HPV by various means in individuals with head and neck cancer. This included PCR-based tests for HPV DNA in the tumor itself, tests aimed at detecting infection-associated antibodies in an individual’s blood, and tests for elevated levels of an HPV-related tumor suppressor protein. For 488 individuals with HNSCC, researchers did blood-based testing for antibodies targeting HPV16 in general, as well as testing for antibodies that target the viral proteins E6 and E7. 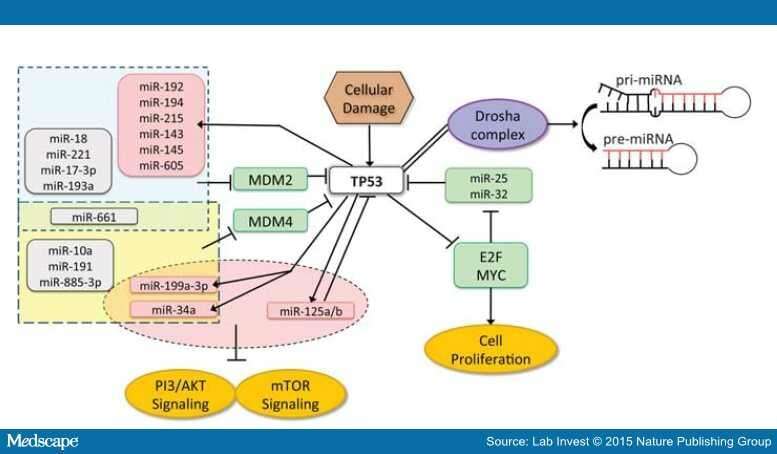 For a subset of patients, the team assessed the tumors themselves for the presence of HPV DNA and/or for elevated levels of the host tumor suppressor protein p16. Based on patterns in the samples, the group determined that the presence of viral E6 and E7 proteins in the blood was linked to increased survival for individuals with an oropharyngeal form of HNSCC, which affects part of the throat known as the oropharynx. A positive test for HPV DNA alone was not significantly linked to head and neck cancer outcomes. On the other hand, when found in combination with E6 and E7 expression, a positive HPV16 test did coincide with improved oropharyngeal cancer outcomes. Likewise, elevated levels of p16 in a tumor were not especially informative on their own, though they did correspond to better oropharyngeal cancer survival when found together with positive blood tests for E6 and E7. In a second study, meanwhile, a German group that focused on the oropharyngeal form of the disease found its own evidence arguing against the use of HPV DNA as a solo marker for HPV-associated head and neck cancer. For that analysis, researchers assessed 199 fresh-frozen oropharyngeal squamous cell carcinoma samples, testing the tumors for HPV DNA and p16. They also considered the viral load in the tumors and looked for gene expression profiles resembling those described in cervical carcinoma — another cancer associated with HPV infection. Again, the presence of HPV DNA appeared to be a poor indicator of HPV-associated cancers or predictor of cancer outcomes. Whereas nearly half of the tumors tested positive for HPV16 DNA, just 16 percent and 20 percent had high viral loads and cervical cancer-like expression profiles, respectively. The researchers found that a subset of HPV DNA-positive tumors with high viral load or HPV-associated expression patterns belonged to individuals with better outcomes. In particular, they found that cervical cancer-like expression profiles in oropharyngeal tumors coincided with the most favorable outcomes, while high viral load in the tumors came a close second. 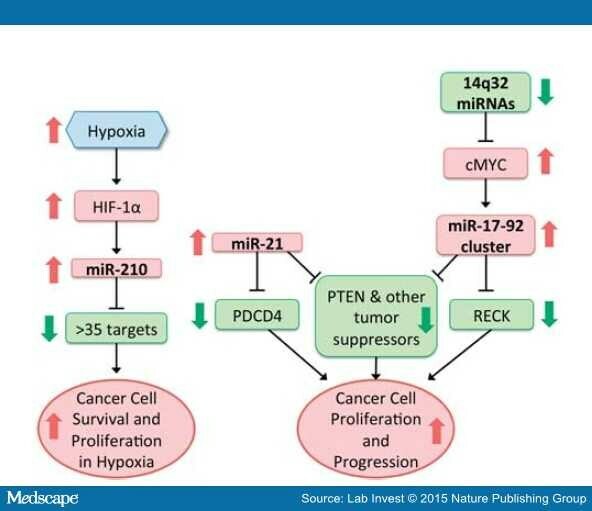 “We showed that high viral load and a cancer-specific pattern of viral gene expression are most suited to identify patients with HPV-driven tumors among patients with oropharyngeal cancer,” Dana Holzinger, that study’s corresponding author, said in a statement. “Once standardized assays for these markers, applicable in routine clinical laboratories, are established, they will allow precise identification of patients with oropharyngeal cancer with or without HPV-driven cancers and, thus, will influence prognosis and potentially treatment decisions,” added Holzinger, who is affiliated with the German Cancer Research Center and Heidelberg University. In a commentary article online today in Cancer Research, Eduardo Méndez, a head and neck surgery specialist with the University of Washington and Fred Hutchinson Cancer Research Center, discussed the significance of the two studies and their potential impact on oropharyngeal squamous cell carcinoma prognoses and treatment. But he also cautioned that more research is needed to understand whether the patterns described in the new studies hold in other populations and to tease apart the prognostic importance of HPV infection in relation to additional prognostic markers.